Jesse and Regina met us at a bridal show last fall, and right away we kind of hit it off. They are both smart and funny, a combination that I click with pretty quickly. So I was stoked when they booked us to be their wedding photographers. We got things started off on the right foot with our engagement portrait session at the Jenkins Estate. (See their engagement portraits here!) We had a great time photographing, and they loved the photos so much they have several framed on their walls, and one of our handcrafted portrait albums on their coffee table. The wedding day itself was even better. 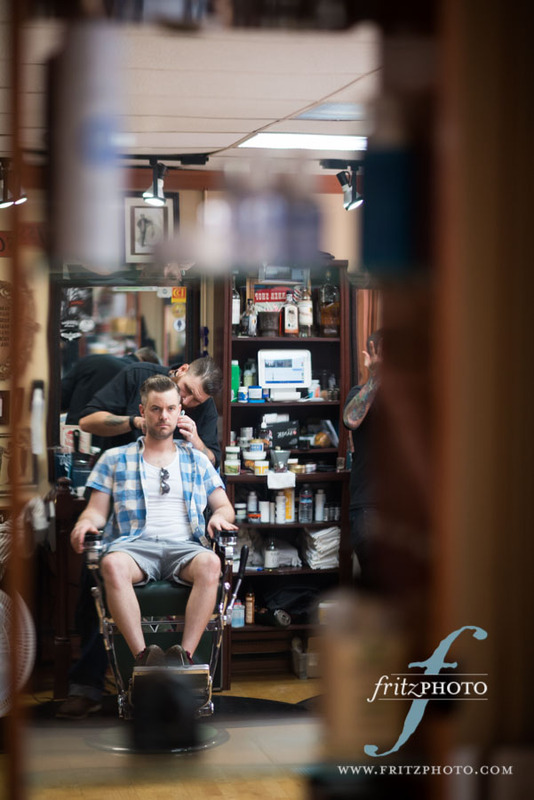 It started off with Regina prepping at McMenamins Edgefield, and Jesse getting styled at Dillinger’s Barber Shop on Alberta Street. A great way to start the day. Their wedding was held at St Rose of Lima Catholic Church in Northeast Portland. A beautiful space, filled with beautiful music by Regina’s sister and brother in law. And then we all headed back to McMenamins Edgefield’s Blackberry Hall for the reception! We started it off with some portraits on the beautiful grounds, and then headed inside for dinner and dancing. And this crowd likes to dance! With DJ services by Katie of Stumptown DJs, I don’t think the dance floor was every empty. We’ve known Sam and Bri for a long time. In fact, they’re some of our favorite people. So when we found out that they (finally) got engaged, we immediately talked with them about photographing their wedding! And (for the second time that month) she said Yes. So it was a real treat to be present for their big day, to watch them say their vows (as another friend performed the ceremony), and to party with them afterward. Plus, these guys have style. They did a great job of decorating the Abernethy Center Abigail’s Garden. And the party in the tent after the ceremony was epic. Our Photobooth was a real hit with the guests at Bri and Sam’s wedding! Congratulations Bri and Sam! It’s been a long time coming, and we love seeing you so happy together. The Abernethy Center in Oregon City really knows how to create lovely spaces for weddings and wedding photographs. From their Abernethy Chapel, to the intimate Veiled Garden, to the expansive Abigail’s Garden, to the Abernethy Ballroom, there’s something for everyone. And as wedding photographers, there’s a lot for us to work with! So it was a real treat to photograph Cheryl and Keith’s wedding the past fall in the Veiled Garden and Ballroom. The fall colors were just beginning, and lent the day an extra sense of warmth and richness. Add to that the beautiful Cheryl, in all her glory as a bride, and it was a magnificent day! You can tell these two really like to have fun, as evidenced by the cake cutting/smearing ritual. Super fun! Armando asked if we’d like to photograph him when he proposed to Tara in Cathedral Park, and of course we said yes! According to ABC News, it’s the new trend, documenting big events like proposals to share on social media, in wedding albums, and more. And we love it! What an amazingly special day to be part of. Thank you Armando for asking us to be your proposal photographer, and for asking Tara to be your wife! We get to be so sneaky sometimes…. She didn’t even know we were here, taking pictures. And she didn’t see this coming. Joy on his face, and surprise on hers. And she said yes, sealing it with a kiss. The best response of all: unmitigated joy. What an absolute delight to get to be there when you proposed, Arvind. What an honor and a joy. Thanks for letting us be your proposal photographers, and help you remember this day for the rest of your lives. I really like Jesse and Regina. A psychologist and yoga instructor respectively, they are thoughtful, intelligent, and a lot of fun. They laugh easily. And they really really like each other. It’s so obvious in the way they communicate, compliment each other, and laugh together. We had a great time photographing their engagement portraits at Jenkins Estate, in Beaverton, this spring. I’m so excited to photograph their wedding in just a couple of months…. Congratulations on your engagement, Regina and Jesse! We can’t wait to be your wedding photographers! When you’re planning your wedding, there’s no question about whether or not you’ll have a wedding photographer there. You know you want every single moment captured forever. But what about your proposal? It’s an equally special and personal moment. While the wedding is often thought of as ‘the most important day ever’, the proposal is actually the one time when it’s just about you two, which makes it even more special. We know how to be discreet, and to capture that catch-your-breath moment when someone drops down on one knee. And after your special someone says, “Yes!”, we’ll create some beautiful engagement portraits for you on the spot. And that’s just what we did for Dio and his girlfriend. He called us from California, saying they were planning to spend a few days in Portland, and that he wanted to propose. We said yes! A lot of planning goes in to proposal photography. We secretly arranged a location (Hoyt Arboretum) and time, and then it was go time! As you can see in the photo essay below, she said yes! In spite of the May rains, Bryan and Shashima’s wedding, at Bridal Veil Lakes, was an amazing day, filled with lots of laughter. Bryan and Shashima are both medical students, taking time out of their studies for the weekend to get married. Shashima’s laughter and Bryan’s gentle charm made for a beautiful day. 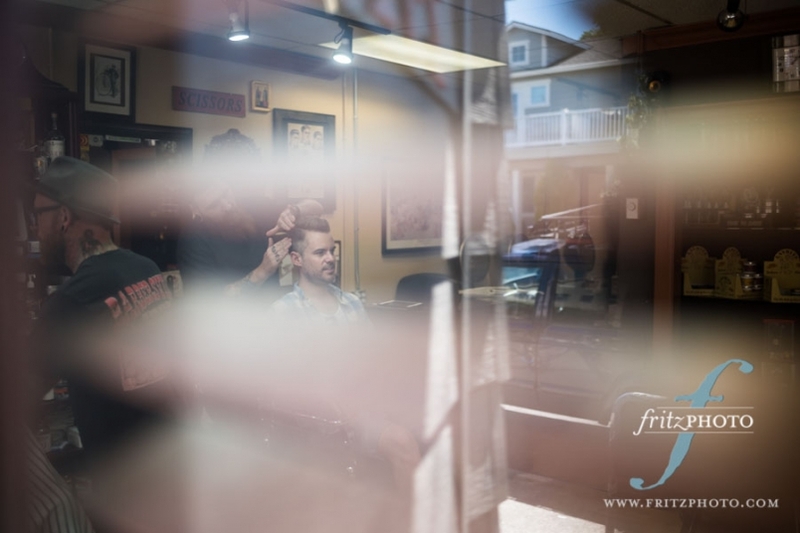 Before heading out to Bridal Veil Lakes for their wedding portrait photography, the groomsmen got ready in downtown Portland at The Nines, and the ladies at The Riverplace Hotel. Then we all drove out to the magnificent wedding venue in the Columbia River Gorge, and took some beautiful photographs. It was a misty day when we arrived at the Lakes, but soon it turned to rain. It was a good thing Shashima and her bridesmaids had brought along some red umbrellas! We just have to give a shout-out to Whitney Werts, of Whitney Werts Events, for her awesome work on this wedding. With the onset of the rain, she was so on the ball: ordering tents and heaters, moving everything indoors, and having a great attitude all the while. We just loved working with Whitney and Stephanie, and their hard work made the day so much better, in spite of the rain! A couple of other wedding vendors made this wedding extra special as well: The Lamb’s Table served up some of the best wedding food we’ve ever had. And that’s saying something. So tasty, so gourmet, and so pretty…what a treat. And the music! Andrew Serino of John Ross Music didn’t just DJ the day, he played most of the music on-site, live. It was so beautiful. Thank you, Bryan and Shashima, for letting us be your wedding photographers! One of the best parts of being networked with other vendors in the wedding industry is getting to collaborate on fun photo shoots together! For this styled shoot, we worked with The Power of Love Rentals (http://www.powerofloverentals.com/) to add to our vintage citrus feel. Melanie Salazar at Delectable put together a “naked cake” for us to photograph, and I’ll admit we may have all sat down and ate it when the shoot was over. It looked so pretty, but it tasted amazing! We met out at Bald Peak State Scenic Viewpoint and all of our models did a fabulous job trucking through the tall grass in their fancy outfits! It is so much fun working with such great professionals! When the Singhs contacted us about photographing their Indian Wedding Anniversary, we were so excited. There is just nothing like an Indian wedding or party for color, laughter, and excitement. And this was no exception! The photos convey it all: music, laughter, dancing, family, fun, and lots of love…it’s all there. On the morning of Allison and Michael’s wedding I got a call from Allison. She said they were going to be late, and I could hear in her voice that she was a little upset. The plan was to meet at the Holy Trinity Greek Orthodox Cathedral before the ceremony for portraits. However, the night before during the rehearsal dinner, Michael’s wedding ring and Allison’s shoes were stolen out of a bridesmaid’s car. Luckily her dress was left untouched, but they had to make a last-minute run to the department store to find replacements. Fortunately, the good folks at Nordstrom, after hearing Allison’s story, hooked her up with a free pair of shoes. Low and behold, the bride and groom were only a few minutes behind and they were in great spirits! Given the potential stress that can be caused by theft, especially in regards to a wedding, I was incredibly impressed by Allison and Michael’s cheerfulness as we started shooting their portraits. I nearly forgot about the phone call I’d had with Allison earlier. I’d say it speaks a great deal about their character to remain so positive given the circumstance so that they could enjoy and be in the moment at hand. By the time the reception rolled around you would have never known anything had gone awry if you had seen the newlyweds holding hands with their friends and family, laughing euphorically, as they whirled around in a large circle during a traditional Greek dance while their parents showered them with dollar bills. Many thanks to all those who made this wedding so beautiful! 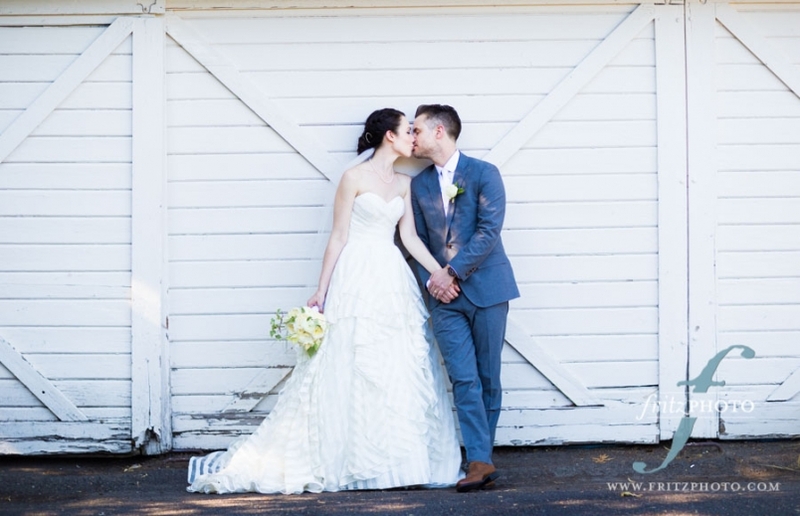 If you’re looking for the best in Portland Wedding Photography, call us today! Julia is a high school senior from Lake Oswego, and we had a great time photographing her senior photos together! We photographed at the beautiful Jenkins Estate in Beaverton, enjoying a surprisingly warm day for late winter. Check out some of the beautiful photos we created together! Julia is a twin, and her brother Daniel came along for some senior photos as well. He’s the coolest older brother: this big, strong, sweet guy actually carried his sister around (which he says he does often) when she had some shoe problems…. What a great big brother!